Amid instabilities surrounding oil-exporting countries, gas prices in Korea have risen for eight weeks in a row and averaged 1,610 won ($1.50) per liter as of Monday, industry figures showed. 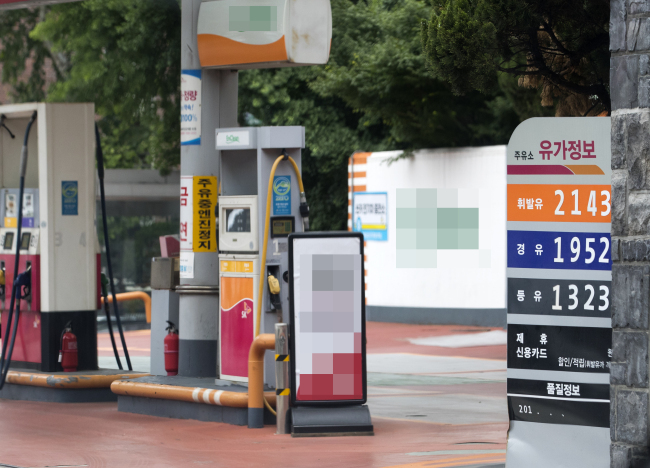 According to gas price information provider Opinet, gas prices in Korea averaged 1,610 won per liter at the start of the week, retaining the highest rate since December 2014. At stations across Seoul, the average cost of gas surged to 1,696 won, up 0.19 percent from the previous day. The most expensive station in Korea sold a liter of gasoline at 2,280 won, according to Opinet. Diesel prices here recorded their highest so far this year to 1,410 won last week, and remained at the same level Monday, according to Opinet. US President Donald Trump’s decision to withdraw from the Iran nuclear deal, Venezuela’s economic crisis, to list a few, have caused the international oil price rally. Amid woes across industries and countries worldwide, green car sales is among the few expected to benefit from the phenomenon. “It is difficult to pinpoint one exact cause of the hike in eco-friendly car sales. But the recent oil price surge is a contributing factor, particularly with some analysts and experts projecting that the days of low oil (prices) are over,” said Kim Pil-soo, an automotive professor of Daelim University. Eco-friendly cars sold here soared 36 percent on-year and flagged 42,361 units between January and May this year, according to data from Korea Automobile Manufacturers Association and Korea Automobile Importers and Distributors Association. Hyundai Motor sold 46 percent more units of the Grandeur hybrid here in May compared to the previous month, flagging 2,521 units, followed by Kia Motors’ plug-in hybrid Niro SUV at 1,687 units, KAMA said. “International oil prices have dropped due to increased production and inventory alongside discussions among OPEC members to produce more oil. However, prices in Korea are forecast to rise for a while because it will take time to factor in such change,” state-run Korea National Oil Corp posted on Opinet.